Religion is the foot of Indian culture. Rituals and believes are the integral part of Hindu religion. It becomes more powerful when a devotee develops reverence into it. Fundamentally a society, which has faith in religion, believes in their own deities or gods and goddesses and pay their homage to them. Apart form ritual commodities, mantras and its chanting, yantras or mandalas play a special and important role in ritual ceremony. It is considered that if mantras are devatas (deities) then yantras are the abode of them. Without yantras, the ritual of deities remains incomplete. In order to attain perfection in worship, it is suggested that puja with yantras of their related deities is more beneficial. 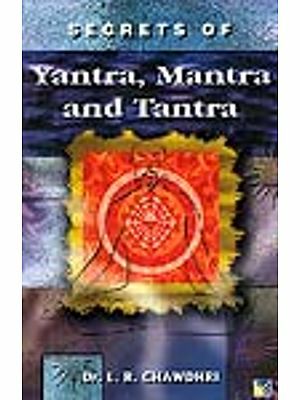 This book comprises of yantras used for all major gods, goddesses and deities accomplished with meaningful colour and geometrical composition. The visible, phenomenal world is a symbol of human mind. The entire cosmic force and energy, perceived by the mind, are actually the powers of mind actively plays its role form within. So in order to decode the world as a symbol, one has to deal with one's own mind and its psychophysical energy. Entering into the cave of mind emplies two spproaches. First is entirely philosophical and the other is entirely, symbolically, essentially action-based. The action-based domain of process comprises five major components of life. These are tantra, mantra, yantra, mudra and mandala. Etymologically, tantra is a process by which knowledge is spread or expanded (tanyate vistarayate jnanam anena). Mantra is a process where by contemplation over sacred syllables (manana) elevates one's mind from suffering (trana). Mudra is a still but inwardly active process which gives joy (mud+ra). Mandala is a process which defends what is contains. Here Manda means what is contained and la means which contains or defends. In this, circled is universally protective significance. 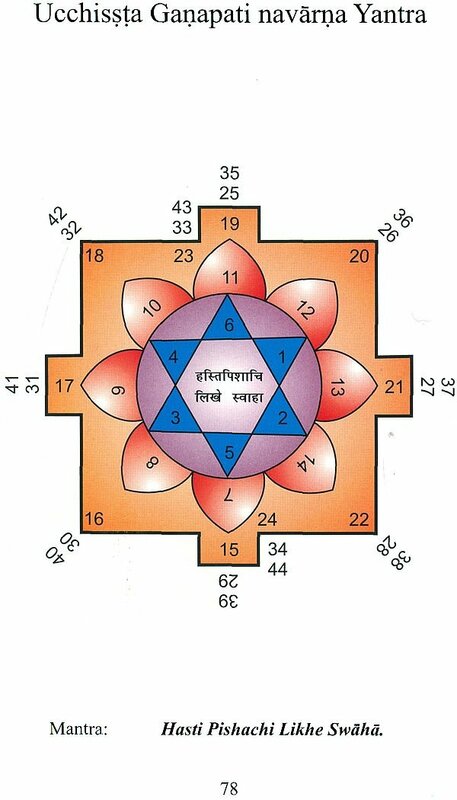 Similarly, yantra indicates a process which regulars the psychophysical energy of human mind. 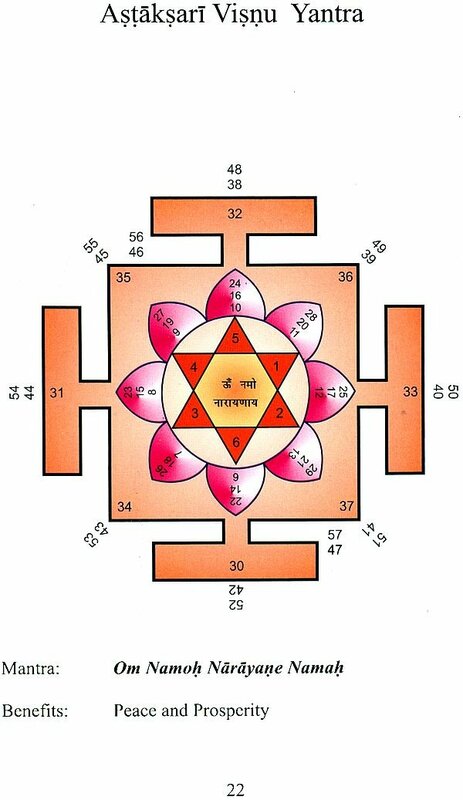 The term 'yantra' is derived from dhatu 'yam' with pratyaya 'tra'. Yam means to control, yan means to regulate and tra means to protect. 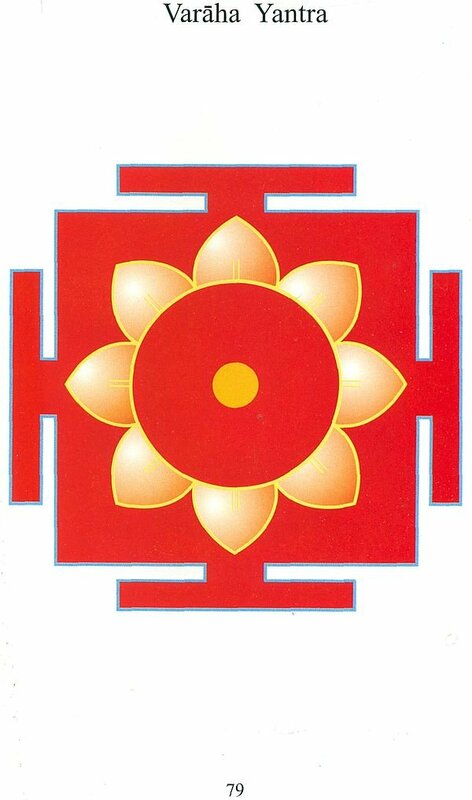 Yantra means regulation of psychophysical energy. 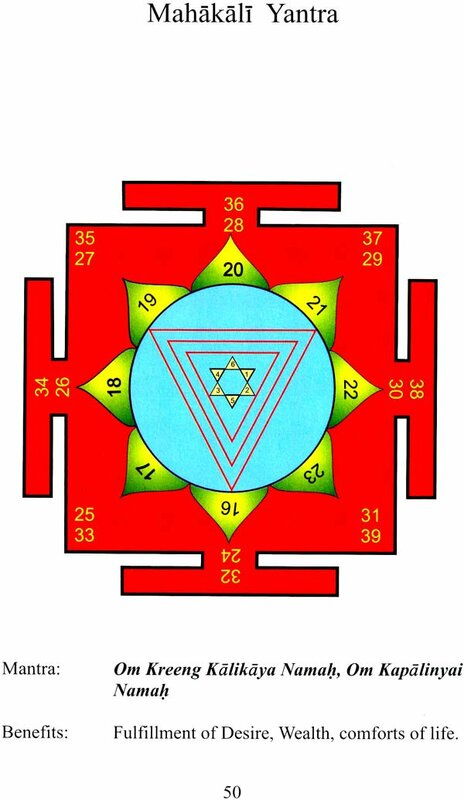 In other words, yantra is a gross symbolic representation of an invisible process which protects one's vital energy which is psychophysical, visually goes to decay when it is threatened by the outer unfavorable situation. There can be numerous and various kinds of unfavorable, torturing situations that constantly weaken one's mental strength and confidence. Yantra protects this strength by weakening the strength of torturous object of fear or suffering, also opens new vista of what is desirous. 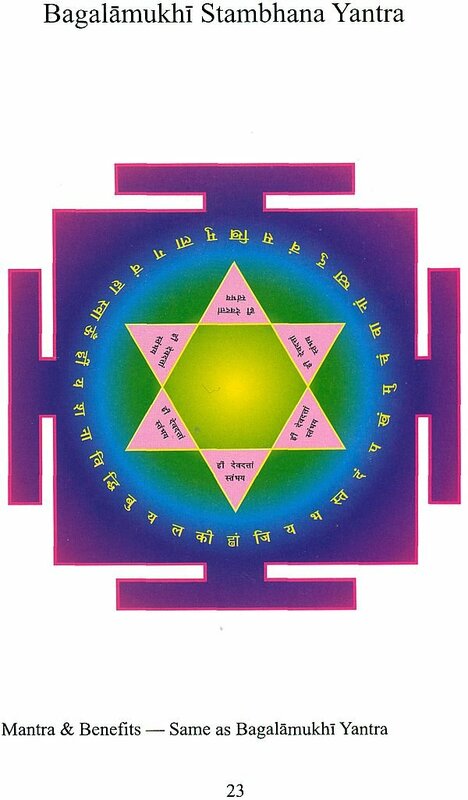 There are various yantra-s for various desires, operate spiritually and scientifically if used properly. Every disc as yantra is conceived as the cakra of Goddess for the cult-worshippers like in Sri-Cakra-Punaka which is a kind of citadel of the Goddess Sri, Sri-yantra, being encircled by a rampart of gold (Hiranya-prakaram). That which is under the influence of the Goddess within the orbit of her Cakra is full of abundance (Riddhi), prosperity (Dana), longevity (Ayuh) and progeny (Prajna). 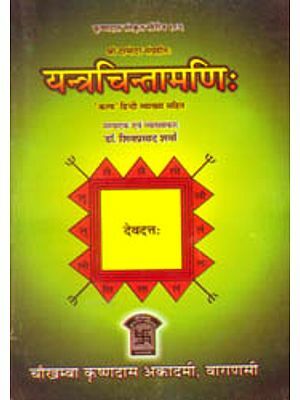 This book gives a list of almost all significant yantra-s with its desirous purpose and process, so that a layman can use the appropriate yantra of his own. 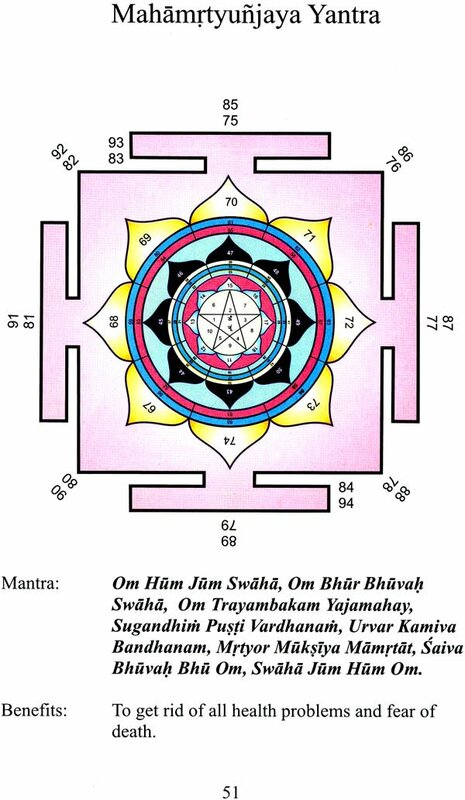 May yantra bless you? Amen.